Give your friends and colleagues a memorable treat with a golf day at one of England’s true inland classics. Established in 1890, Berkhamsted is Hertfordshire’s joint-oldest golf club and rightly regarded as one of England’s Top 100 golf courses. Set in a huge expanse of beautiful, natural heathland, ‘Bunkerless Berkhamsted’ offers a truly distinctive experience, far from the run of the mill. It is famed throughout the golfing world for its total absence of man-made hazards – unless you count the Bronze Age Grim’s Dyke which poses a challenge on several holes. Instead, its copious gorse and heather, numerous natural mounds and tunnel-like fairways through mature trees create one of English golf’s strictest yet most enjoyable tests – perfect for a golf day which you’ll be talking about for years afterwards. 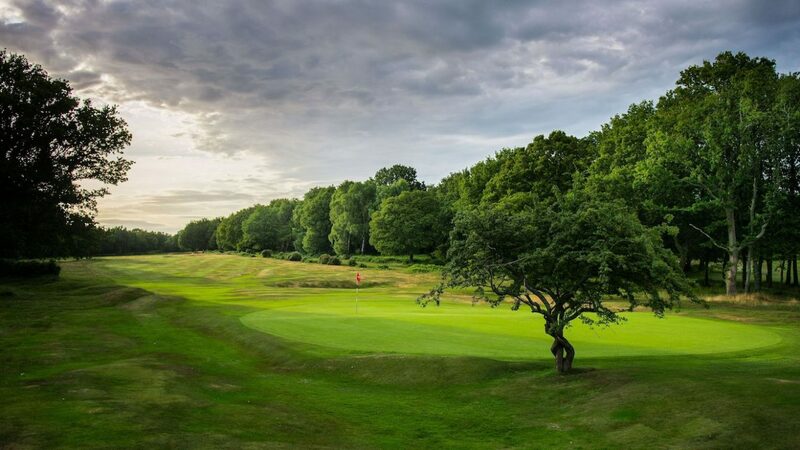 Illustrious golf course architects such as James Braid, Harry Colt and Willie Park Junior all had a hand in its creation and subsequent alterations, but Berkhamsted has remained largely unchanged for the last 100 years. Superbly maintained by Gerald Bruce and his team, you’ll find true greens and an endless variety of short game challenges awaiting you. At just 6,605 yards (par 71) Berkhamsted doesn’t require great length: it’s all about guile. 8, west of Hemel Hempstead.